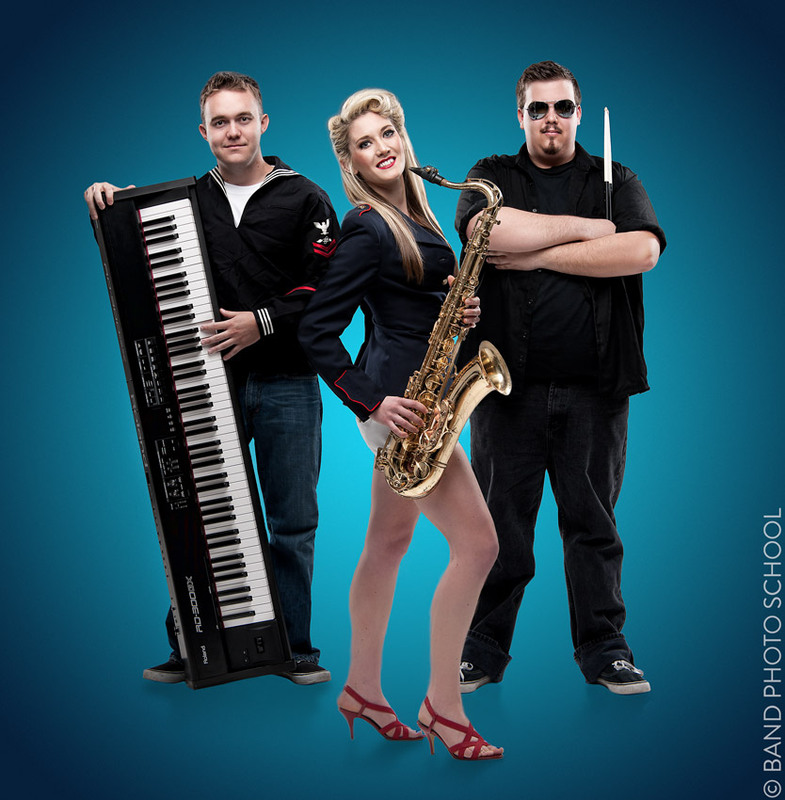 Shot at Kelby Studios in January 2011, this image is a composite of three separate portraits, and was intended to be an album cover or promotional poster. Special thanks to Matt Kloskowski, my friend and co-shooter (I believe 2 of the 3 images in this composite were actually his). All three subjects were lit using a classic 3-light setup using Elinchrom Ranger Quadras (5' octabank boomed overhead as key, and 2 gridded stripboxes on each side for rim). The rim lights were approximately 2 stops brighter than the key. This image was processed in Lightroom and Photoshop, and finished with a light dose of Topaz Adjust. The background was created using a simple Radial Gradient in Photoshop.